2. When did the employer shared responsibility provisions go into effect? The employer shared responsibility provisions generally were first effective in 2015 but several forms of transition relief were available for 2015. Several forms of transition relief also were available to some employers for 2016. No transition relief is available for 2017 and future years. For more information see Limited Transition Relief in 2016. 3. Are there information reporting requirements related to the employer shared responsibility provisions? 4. Is more detailed information available about the employer shared responsibility provisions and the related information reporting requirements? Yes. The latest news and a list of resources are available at the Applicable Large Employer Information Center and the ACA Legal Guidance and Other Resources page. The information available includes links to recorded webinars that anyone can review at any time to better understand the employer shared responsibility provisions and the related information reporting requirements. The Applicable Large Employer Information Center includes links to a wide variety of resources regarding the employer shared responsibility provision, such as links to current webinars, tax provisions, questions and answers, forms and instructions, and other publications. The ACA Legal Guidance and Other Resources page includes links to YouTube videos, podcasts and other IRS outreach materials regarding the employer shared responsibility provisions and other ACA topics. 5. I understand that the employer shared responsibility provisions apply only to employers that are ALEs, meaning that they employ at least a certain number of employees. How many employees must an employer have to be an ALE and, therefore, be subject to the employer shared responsibility provisions? Whether an employer is an ALE in a particular calendar year generally depends on the size of the employer’s workforce in the preceding calendar year. For example, an employer will use information about the size of its workforce during 2016 to determine if it is an ALE for 2017. To be an ALE for a calendar year, an employer must have employed an average of at least 50 full-time employees (including full-time equivalent employees) during the preceding calendar year. To determine its workforce size for a calendar year, an employer adds its total number of full-time employees for each month of the prior calendar year to the total number of full-time equivalent employees for each month of the prior calendar year and divides by 12. In general, for this purpose, an employer determines its number of full-time employees for a month by counting individuals employed on average for at least 30 hours of service per week during the month or at least 130 hours of service during the month. An employer determines its number of full-time equivalent employees for a month by combining the number of hours of service of all non-full-time employees for the month (but not including more than 120 hours of service per employee), and dividing the total by 120. For example, an employer that employs 40 full-time employees and 20 employees each with 60 hours of service in a month has the equivalent of 50 full-time employees in the month (40 full-time employees plus 10 full-time equivalent employees (20 X 60 = 1200, and 1200/120 =10)). For section 4980H purposes, the number of an employer’s full-time equivalent employees is relevant only to determine if the employer is an ALE; full-time equivalent employees are not taken into account in determining the amount of employer shared responsibility payment, if any, that an ALE may owe. 6. Are all employees of an employer taken into account in determining whether the employer is an ALE? Generally, all employees are counted (either as full-time employees or full-time equivalent employees) when an employer is determining whether it is an ALE, but there are some exceptions. Seasonal workers: An employer is not an ALE if both of the following apply: (1) the employer’s workforce exceeds 50 full-time employees (including full-time equivalent employees) for 120 days or fewer during the preceding calendar year, and (2) all of the employees in excess of 50 employed during that period of no more than 120 days are seasonal workers. Seasonal workers are workers who perform labor or services on a seasonal basis as defined by the Department of Labor, and retail workers employed exclusively during holiday seasons. For this purpose, employers may apply a reasonable, good faith interpretation of the term “seasonal worker” and a reasonable, good faith interpretation of the Department of Labor’s definition of seasonal worker. TRICARE/Department of Veteran Affairs (VA) Coverage: Employees who have coverage under TRICARE or a VA health program are not taken into account in determining if an employer is an ALE. These exceptions apply solely for purposes of determining whether an employer is an ALE. For additional information, see section 4980H(c)(2)(F) and section 54.4980H-2(b) of the regulations. 7. How does an employer that was not in existence on any business day in the prior calendar year determine if it employs enough employees to be an ALE in the current calendar year? An employer that was not in existence on any business day in the prior calendar year is considered to be an ALE in the current calendar year if the employer is reasonably expected to employ, and actually does employ, an average of at least 50 full-time employees (including full-time equivalent employees) on business days during the current calendar year. For this purpose, an employer does not take into account employees who have coverage under TRICARE or a VA health program (as described in section 4980H(c)(2)(F)). See section 54.4980H-2(b) of the regulationsfor how the seasonal worker exception applies in this case. In contrast, for the next calendar year (the year after the first year the employer was in existence), the employer determines its status as an ALE under the general rules. 8. If I hire additional employees, including some part-time employees, how do I determine if I have become large enough to be an ALE? An employer determines if it is an ALE for a current calendar year based on its number of full-time employees (including full-time equivalent employees) during the prior calendar year. If an employer hires additional employees, including some part-time employees, during the current calendar year, the employer will take those employees into account when determining if it is an ALE for the next calendar year. 9. Do the employer shared responsibility provisions apply only to large employers that are for-profit businesses or to other large employers as well? All employers that are ALEs are subject to the employer shared responsibility provisions, including for-profit, nonprofit (whether or not a tax-exempt organization), and government entity employers. 10. Do the employer shared responsibility provisions apply to government entities? Yes. There is no exclusion from the employer shared responsibility provisions for government entities. All employers that are ALEs are subject to the employer shared responsibility provisions, including federal, state, local, and Indian tribal government employers. 11. If two or more businesses have a certain level of common or related ownership, are they combined for purposes of determining whether they employ enough employees to be an ALE? Yes. The employer shared responsibility provisions include a rule that also applies for certain other tax and employee benefit purposes (section 414). Under this rule, two or more businesses that have a certain level of common or related ownership generally are treated as a single employer, and are combined for purposes of determining whether or not they collectively employ at least 50 full-time employees (including full-time equivalent employees). If the combined total meets the ALE threshold, then each separate business is considered to be part of an ALE and is therefore subject to the employer shared responsibility provisions. This includes any business that does not employ enough employees to meet the ALE threshold on its own. Under this rule, an ALE may be a single employer or a group of related employers treated as an aggregated ALE group, which is a group of employers treated as a single employer under section 414(b), (c), (m) or (o). Each employer that is a member of an aggregated ALE group is referred to as an ALE member. For example, if an individual owns 80 percent or more of two businesses that are separate legal entities, the total number of full-time employees of that employer is based on the full-time employees (including full-time equivalent employees) in both businesses combined together. If the employees in the combined businesses add up to fewer than 50 full-time employees (including full-time equivalent employees) in a calendar year, the employer shared responsibility provisions will not apply to those businesses for the following calendar year. 12. Does common or related ownership affect an ALE’s liability for an employer shared responsibility payment, or only the determination of whether an employer is subject to the employer shared responsibility provisions? Common or related ownership affects only whether an employer is an ALE member and therefore subject to the employer shared responsibility provisions. Employers with a certain level of common or related ownership are treated as a single employer for determining whether an employer is an ALE. The rules for combining employers do not apply for purposes of determining whether any particular ALE member owes an employer shared responsibility payment or the amount of any payment. That is determined separately for each related ALE member. 13. Do the rules that require combining employers with a certain level of common or related ownership for purposes of determining whether they employ enough employees to be an ALE apply for government entity employers? Yes. But a special standard applies to government entity employers in applying the rules for combining employers under section 414 for purposes of the employer shared responsibility provisions. Because specific rules under section 414 have not yet been developed for government entities and because section 414 relates to a certain level of common or related ownership and government entities are not typically “owned” by other entities, government entities may apply a good faith reasonable interpretation of section 414 to determine whether they should be combined with other entities. 14. If I buy or start a new business with a new group of employees and my new business is separate from my existing business(es), are the employees in my new business combined with employees in my existing business(es) for purposes of determining whether the business(es) employ enough employees to be an ALE? Under the section 414 rules for combining employers that apply for purposes of determining which employers are ALEs under the employer shared responsibility provisions, the employees of employers that have a certain level of common or related ownership are added together to determine if an employer employs at least 50 full-time employees (including full-time equivalent employees). 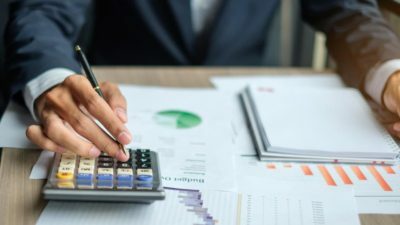 The rules under section 414 for combining employers have applied for purposes of applying the federal tax rules for 401(k) and other retirement plans to employers with certain common or related ownership for years. 15. To determine if an employer is an ALE, does the employer count its employees who are eligible for health coverage through another source, such as Medicare, Medicaid, or a spouse’s employer? Yes. For purposes of determining if an employer is an ALE, all employees are counted (subject to limited exceptions for certain seasonal workers and employees who have coverage under TRICARE or a VA health program), regardless of whether the employees are eligible for coverage from other sources. 16. To determine if an employer is an ALE, does the employer count its employees who are exempt from the individual shared responsibility provision, such as members of a health care sharing ministry or members of a federally recognized Indian tribe? Yes. For purposes of determining if an employer is an ALE, all employees are counted (subject to limited exceptions for certain seasonal workers and employees who have coverage under TRICARE or a VA health program), regardless of whether the employees are exempt from the individual shared responsibility provision. 17. Do the employer shared responsibility provisions apply to employers with employees (U. S. citizens or non-citizens) working outside the United States? Generally, the employer shared responsibility provisions apply to an employer with employees (U.S. citizens or non-citizens) working abroad only if the employer has at least 50 full-time employees (including full-time equivalent employees), determined by taking into account only work performed in the United States. For this purpose, the hours of service that an employee works does not include an hour of service to the extent the compensation for services performed constitutes income from sources outside the United States. (The term United States refers only to the 50 States and the District of Columbia and does not include the U.S. territories.) Thus, employees (U.S. citizens or non-citizens) working only abroad generally are not taken into account for purposes of determining whether an employer is an ALE or for purposes of determining whether the employer owes an employer shared responsibility payment or the amount of any such payment. 18. What is the definition of employee for purposes of the employer shared responsibility provisions? For purposes of the employer shared responsibility provisions, an employee is an individual who is an employee under the common-law standard for determining employer-employee relationships. An employee does not include a sole proprietor, a partner in a partnership, an S corporation shareholder who owns at least 2 percent of the S corporation, a leased employee within the meaning of section 414(n), or a worker that is a qualified real estate agent or direct seller. See Pub.15-A, Employer’s Supplemental Tax Guide, for more information on determining who is an employee. 19. What is the definition of full-time employee for purposes of the employer shared responsibility provisions? Monthly measurement method: Under the monthly measurement method, an employer determines whether an employee is a full-time employee by counting the employee’s hours of service for each month. Look-back measurement method: Under the look-back measurement method, an employer determines whether an employee is a full-time employee for a future period (referred to as the stability period), based upon the employee’s hours of service in a prior period (referred to as the measurement period). The look-back measurement method for identifying full-time employees is available only for purposes of determining and computing liability for an employer shared responsibility payment, and not for purposes of determining if the employer is an ALE. The look-back measurement method provides special rules that apply in various circumstances, such as for variable-hour employees, seasonal employees, and employees of educational organizations. For rules on when an employer may use different methods of determining full-time employee status for different categories of employees, see section 54.4980H-3(e) of the regulations. These methods are used to determine full-time employee status for purposes of the employer shared responsibility provisions; these rules do not affect whether an employer may offer coverage to part-time employees. Employers always may make additional employees eligible for coverage, or otherwise offer coverage more expansively than would be required to avoid an assessable payment under the employer shared responsibility provisions. 20. Is a full-time equivalent employee different than a full-time employee? Yes. Full-time equivalent employees are counted by combining the hours of part-time employees, each of whom individually is not a full-time employee, but who in combination count as one or more full-time employees. For purposes of the employer shared responsibility provisions, the number of an employer’s full-time equivalent employees is only relevant for purposes of determining whether the employer is an ALE. An ALE need not offer coverage to its part-time employees to avoid an employer shared responsibility payment, and a part-time employee’s receipt of a premium tax credit for purchasing coverage through the Marketplace cannot be the basis for liability for an employer shared responsibility payment. 21. For purposes of the employer shared responsibility provisions, what is an hour of service? For more information on the interaction of the rules relating to the hour of service definition in the employer shared responsibility provisions with the definition in the Department of Labor regulations, which is incorporated into the section 4980H regulations, see Notice 2015-87(question 14). 22. Are any types of hours excluded from the definition of hour of service? Volunteer employees: Hours of service do not include hours of bona fide volunteer service for a government entity or tax-exempt organization, even if certain compensation is received for those hours. Students performing work-study: Hours of service do not include hours performed by students as part of a Federal Work Study Program or a substantially similar program of a State or political subdivision. Compensation that is not U.S. source income: Hours of service do not include hours for which an employee receives compensation that is taxed as income from sources outside the United States (generally meaning certain work overseas). For this purpose, the term United States refers to only the 50 States and the District of Columbia and does not include the U.S. territories. Certain members of religious orders: Until further guidance is issued, under certain circumstances a religious order is permitted to not count as an hour of service work performed by an individual who is subject to a vow of poverty. For this exclusion to apply, the employee must be a member of the religious order and must be performing tasks that are usually required of active members of that order. 23. Are there special rules for hours of service that are particularly challenging to identify or track or for employees for whom the general rules for determining hours of service may present special difficulties? for certain categories of work hours associated with some positions of employment, including layover hours (for example for airline employees) and on-call hours. Until further guidance is issued, employers are required to use a reasonable method of crediting hours of service that is consistent with the employer shared responsibility provisions. The preamble to the final regulations includes examples of methods of crediting these hours that are reasonable and that are not reasonable, including a method that is considered reasonable for crediting hours of service for adjunct faculty members. 24. How does an employer count a particular employee’s hours of service if that employee works for two employers that are treated as one employer under the employer shared responsibility provisions (for example, different subsidiaries under a parent corporation that together form an aggregated ALE group)? In general, for purposes of the employer shared responsibility provisions, the section 414 rules for combining employers that have a certain level of common or related ownership apply for purposes of determining whether an employer employs at least 50 full-time employees (including full-time equivalent employees). Under these rules, the employers that are members of an aggregated ALE group are treated as a single employer, so that all of an employee’s hours of service for any of the different employers in the group are added together to count the employee’s total hours of service. However, for purposes of determining any potential employer shared responsibility payment and applying the related information reporting requirements, if, during a calendar month, an employee is an employee of more than one member of an aggregated ALE group, the employee is treated as an employee of the employer member for whom the employee has the greatest number of hours of service for that calendar month. If the employee has an equal number of hours of service for two or more employer members of the same aggregated ALE group for the calendar month, those employers must treat one of the employers as the employer of that employee for that calendar month. For more information, see the Instructions for the Forms 1094-C and 1095-C.
25. I own a business that is subject to the employer shared responsibility provisions. How do I count a particular employee’s hours of service if that employee works both for my business and another unrelated business? If an employee is employed by two employers that are unrelated and, therefore, are not treated as a single employer for purposes of the employer shared responsibility provisions, an employee’s hours of service for one of the employers are not treated as hours of service for the other employer. 26. Guidance under the employer shared responsibility provisions refers in some places to “seasonal employees” and in some places to “seasonal workers.” Is a seasonal employee the same as a seasonal worker under these rules? The terms “seasonal employee” and “seasonal worker” have different but overlapping meanings for purposes of the employer shared responsibility provisions. The term “seasonal employee” is relevant for determining whether an employee is a full-time employee under the look-back measurement method. The look-back measurement method includes special rules that apply to new employees who are seasonal employees. For this purpose, a seasonal employee means an employee who is hired into a position for which the customary annual employment is six months or less and for which the period of employment begins each calendar year in approximately the same part of the year, such as summer or winter. The look-back measurement method is not available for purposes of determining whether the employer is an ALE. The term “seasonal worker” is relevant for determining whether an employer is an ALE subject to the employer shared responsibility provisions. To be an ALE, an employer must have employed, during the previous calendar year, at least 50 full-time employees, including full-time equivalent employees. However, if an employer’s workforce exceeds 50 full-time employees, including full-time equivalent employees, for 120 days or fewer during the preceding calendar year, and all of the employees in excess of 50 who were employed during that period of no more than 120 days were seasonal workers, the employer is not considered an ALE. Seasonal workers are workers who perform labor or services on a seasonal basis, including seasonal workers as defined by the Department of Labor, and retail workers employed exclusively during holiday seasons. For this purpose, employers may apply a reasonable, good faith interpretation of the term “seasonal worker” and of the Department of Labor’s definition of the term “seasonal worker.”For more information about the Department of Labor definition see 29 CFR 500.20(s)(1). 27. How do I count the hours of my interns (both paid and unpaid) to determine if my business is subject to the employer shared responsibility provisions? For purposes of determining hours of service, interns are treated like all other employees. Therefore, under the general rule, an employee, including an intern, who receives no payment from an employer will not have any hours of service. An employee, including an intern, who is paid, or entitled to payment, for the performance of duties (or for a period of time during which no duties are performed) will have hours of service. However, under the final regulations, an hour of service does not include any hour of service performed as a bona fide volunteer (as defined in the regulations) for a government entity or tax-exempt entity, as part of a Federal Work-Study Program (or a substantially similar program of a State or political subdivision thereof), or to the extent the compensation for services performed constitutes income from sources without the United States. See section 54.4980H-1(a)(24) of the regulations. 28. What counts as an “offer of coverage” under the employer shared responsibility provisions? In general, an ALE makes an offer of coverage to an employee if it provides the employee an effective opportunity to enroll in the coverage (or to decline that coverage) at least once for each plan year. Whether an employee has an effective opportunity to enroll is based on all the relevant facts and circumstances. An ALE offers coverage for a month only if the coverage would be provided for every day of that calendar month. For purposes of the employer shared responsibility provisions and these Q&As, “coverage” refers to minimum essential coverage that is health coverage under an eligible employer-sponsored plan. For more details on minimum essential coverage, see Publication 974, Premium Tax Credit. 29. If an employer provides mandatory coverage, does that coverage count as an offer of coverage for purposes of the employer shared responsibility provisions? does not require an employee contribution for any calendar month of more than 9.5 percent (as adjusted) of a monthly amount determined as the mainland federal poverty line for a single individual for the applicable calendar year, divided by 12. 30. Does an employer’s offer to a full-time employee count as an offer of coverage for purposes of the employer shared responsibility provisions if the employer states that the employer will terminate the employee’s employment if the employee attempts to enroll in the coverage? No. An ALE is not considered to have made an offer of coverage to a full-time employee unless it provides the employee an effective opportunity to enroll in the coverage (or to decline that coverage) at least once for each plan year. Whether an employee has an effective opportunity to enroll is based on all the relevant facts and circumstances. If an ALE would terminate a full-time employee’s employment if the employee attempted to enroll in the coverage, the employee would not have an effective opportunity to enroll in the coverage. For more information about offers of coverage see section 54.4980H-4(b) and -5(b) of the regulations. 31. Does an employer’s offer count as an offer of coverage to a full-time employee’s dependents for purposes of the employer shared responsibility provisions if the employer makes an offer to a full-time employee and the full-time employee’s dependents but states that if the full-time employee attempts to enroll his or her dependents in the coverage, the employer will terminate the full-time employee’s employment? No. An ALE is not considered to have made an offer of coverage to a full-time employee’s dependents unless it provides the employee an effective opportunity to enroll the dependents in the coverage (or to decline that coverage) at least once for each plan year. Whether an employee has an effective opportunity to enroll his or her dependents is based on all the relevant facts and circumstances. If an ALE would terminate a full-time employee’s employment if the employee attempted to enroll his or her dependents in the coverage, the dependents would not have an effective opportunity to enroll in the coverage. For more information about offers of coverage see section 54.4980H-4(b) and -5(b) of the regulations. 32. If another entity makes an offer of coverage on behalf of an employer, does it count as an offer of coverage by the employer? Sometimes, yes. An ALE is considered to offer coverage to an employee if coverage is offered on behalf of the ALE by (1) another employer in the aggregated ALE group of employers treated as a single employer, (2) a multiemployer or single employer Taft-Hartley plan, (3) a multiple employer welfare arrangement (MEWA), or (4) in certain cases, a staffing firm. 33. Are there special rules about what counts as an offer of coverage for an employer contributing to a multiemployer plan? Yes. Treasury and the IRS have provided a special rule for multiemployer arrangements. An ALE is treated as offering coverage to an employee if the ALE is required by a collective bargaining agreement or related participation agreement to make contributions for that employee to a multiemployer plan that offers, to individuals who satisfy the plan’s eligibility conditions, coverage that is affordable and provides minimum value, and that also offers coverage to those individuals’ dependents. For more information, see section XV.E of the preamble to the employer shared responsibility final regulations. 34. For purposes of the employer shared responsibility provisions, in determining what counts as an offer of coverage to at least 95 percent of an employer’s full-time employees (and their dependents), does an employer have to take into account full-time employees (and their dependents) that are eligible for coverage through another source, such as Medicare, Medicaid, or a spouse’s employer? Yes. The employer shared responsibility provisions apply to ALEs regardless of whether their full-time employees have coverage from another source such as Medicare, Medicaid, or a spouse’s employer. If an ALE does not offer coverage to its full-time employees (and their dependents) or offers coverage to less than 95 percent of its full-time employees (and their dependents) and one or more of its full-time employees receives a premium tax credit, the ALE may be liable for an employer shared responsibility payment. The amount of the payment will be based on the number of the employer’s full-time employees, including full-time employees who are eligible for coverage from another source. However, certain employees are not eligible for a premium tax credit, including employees who are eligible for Medicare or Medicaid. If no full-time employee receives a premium tax credit (for example, because all of an employer’s full-time employees are eligible for Medicare or Medicaid), the employer will not be liable for an employer shared responsibility payment. 35. For purposes of the employer shared responsibility provisions, in determining what counts as an offer of coverage to at least 95 percent of an employer’s full-time employees (and their dependents), does an employer have to take into account full-time employees (and their dependents) that have coverage under TRICARE or a Department of Veterans Affairs (VA) health program? Yes. Employees who have coverage under TRICARE or a VA health program (as described in section 4980H(c)(2)(F)) are not taken into account when determining if an employer is an ALE. However, if the employer had at least 50 full-time employees (including full-time equivalent employees) in the preceding calendar year even after excluding employees that had coverage under TRICARE or a VA health program, the employer is subject to the employer shared responsibility provisions and all full-time employees (including those covered by TRICARE or a VA health program) are taken into account for purposes of determining and computing liability for an employer shared responsibility payment, if any. For example, Employer had 150 full-time employees (including full-time equivalent employees) on business days in the preceding calendar year; and 50 of those employees had coverage under TRICARE or a VA health program. Employer is an ALE because, even after excluding employees with coverage under TRICARE or a VA health program, Employer had 100 full-time employees (including full-time equivalent employees) in the preceding calendar year. Employer is subject to the employer shared responsibility provisions and all full-time employees (including those with coverage under TRICARE or a VA health program) are taken into account for purposes of determining and computing liability for an employer shared responsibility payment, if any. 36. For purposes of the employer shared responsibility provisions, in determining what counts as an offer of coverage to at least 95 percent of an employer’s full-time employee’s (and their dependents), does an employer have to take into account full-time employees (and their dependents) that are exempt from the individual shared responsibility provision, such as members of a health care sharing ministry or members of a federally recognized Indian tribe? Yes. The employer shared responsibility provisions apply to ALEs with full-time employees who are exempt from the individual shared responsibility provision, such as members of a health care sharing ministry or members of a federally-recognized Indian tribe. If an ALE does not offer coverage to its full-time employees (and their dependents) or offers coverage to less than 95 percent of its full-time employees (and their dependents) and a full-time employee receives a premium tax credit, the employer will be liable for an employer shared responsibility payment, which will be calculated based on the number of the employer’s full-time employees. For this purpose, the number of full-time employees includes full-time employees who are exempt from the individual shared responsibility provision. Employees who are exempt from the individual shared responsibility provision may or may not be eligible for a premium tax credit. If no full-time employee receives a premium tax credit, the employer will not be liable for an employer shared responsibility payment. 37. For purposes of the employer shared responsibility provisions, in determining what counts as an offer of coverage to at least 95 percent of an employer’s full-time employees (and their dependents), does an employer have to take into account whether it offered coverage to a full-time employee’s spouse? No. To avoid a potential employer shared responsibility payment an ALE must offer coverage that is affordable and provides minimum value to its full-time employees and must offer coverage to the dependents of those employees. But for this purpose, a spouse is not a dependent. 38. When is coverage offered by an employer considered affordable for purposes of the employer shared responsibility provisions? Employer-provided coverage is considered affordable for an employee if the employee required contribution is no more than 9.5 percent (as adjusted) of that employee’s household income. In general, the employee required contribution is the employee’s cost of enrolling in the least expensive coverage offered by the employer that provides minimum value. The employee required contribution includes amounts paid through salary reduction or otherwise, and takes into account the effects of employer arrangements such as health reimbursement arrangements (HRAs), wellness incentives, flex credits, and opt-out payments. 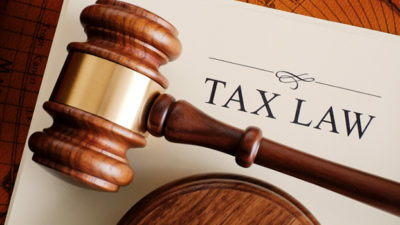 In addition, because ALEs generally do not know their employees’ household incomes, there are three affordability safe harbors employers can take advantage of that are based on information the employer does have available, such as the employee’s Form W-2 wages or the employee’s rate of pay. If an ALE’s offer of coverage is affordable using any of these safe harbors – that is, the employee’s required contribution is no more than 9.5 percent (as adjusted) of the baseline in the applicable safe harbor – then, the offer of coverage is deemed affordable for purposes of the employer shared responsibility provisions regardless of whether it was affordable based on the employee’s household income (which is the test that applies for purposes of the premium tax credit). The three affordability safe harbors are (1) the Form W-2 wages safe harbor, (2) the rate of pay safe harbor, and (3) the federal poverty line safe harbor. An ALE may use one or more of the safe harbors at its option but only if the ALE offers 95 percent of its full-time employees and their dependents the opportunity to enroll in coverage that provides minimum value for the self-only coverage offered to the employee. An ALE may choose to use one safe harbor for all of its employees or to use different safe harbors for employees in different categories, provided that the categories used are reasonable and the employer uses one safe harbor on a uniform and consistent basis for all employees in a particular category. If an ALE offers multiple health care coverage options, the affordability test for a particular employee applies to the lowest-cost self-only coverage option that provides minimum value and that is available to that employee. The Form W-2 wages safe harbor generally is based on the amount of wages paid to the employee that the employer reports in Box 1 of that employee’s Form W-2. The rate of pay safe harbor generally is based on the employee’s rate of pay at the beginning of the coverage period, with adjustments permitted, for an hourly employee, if the rate of pay is decreased (but not if the rate of pay is increased). The federal poverty line safe harbor generally treats coverage as affordable for a month if the employee required contribution for the month does not exceed 9.5 percent, adjusted annually, of the federal poverty line for a single individual for the applicable calendar year, divided by 12. The final regulations provide additional information on these affordability safe harbors. The regulations under section 36B and 5000A generally contain the rules for determining the amount of the employee required contribution. For more information about affordability, including information on certain HRA contributions, wellness program incentives, flex credits, and opt-out payments, see Notice 2015-87 (questions 7-12) and the proposed regulation on the premium tax credit.For more information about affordability, including information on certain HRA contributions, wellness program incentives, flex credits, and opt-out payments, see Notice 2015-87 (questions 7-12) and the proposed regulation on the premium tax credit. 39. How has the 9.5 percent affordability threshold amount been adjusted over time? The 9.5 percent affordability threshold, which applies for purposes of both the premium tax credit provisions and the employer shared responsibility affordability safe harbors, is adjusted in accordance with the threshold that applies with respect to the premium tax credit. The IRS releases the adjusted percentage each year in a revenue procedure. For plan years beginning in 2015, the threshold is 9.56 percent. Rev. Proc. 2014-37. For plans years beginning in 2016, the threshold is 9.66 percent. Rev. Proc. 2014-62 . For plan years beginning in 2017, the threshold is 9.69 percent. Rev. Proc. 2016-24. For plan years beginning in 2018, the threshold is 9.56 percent. See Rev. Proc. 2017-36. For more information, including on other purposes for which the 9.5 percent threshold, as adjusted, applies, see Notice 2015-87 (question 12). 40. Is the employee required contribution the same amount as the premium the employee pays? the employer, in addition to or in conjunction with the coverage, offers other arrangements that could affect the employee’s cost of coverage, including certain HRA contributions, wellness program incentives, flex credits, and opt-out payments. For additional rules on determining the amount of the employee required contribution, see Notice 2015-87 (questions 7-12) and the proposed regulation on the premium tax credit. 41. When does coverage offered by an employer provide minimum value? A plan provides minimum value if it covers at least 60 percent of the total allowed cost of benefits that are expected to be incurred under the plan and provides substantial coverage of inpatient hospitalization services and physician services. On May 3, 2013, Treasury and the IRS issued proposed regulations regarding how to determine minimum value and on September 1, 2015, Treasury and IRS issued proposed regulations on the requirement to provide substantial coverage of inpatient hospitalization and physician services. 42. Under what circumstances will an employer owe an employer shared responsibility payment? (b) The ALE offers coverage to at least 95 percent of its full-time employees (and their dependents), but at least one full-time employee receives a premium tax credit to help pay for coverage through a Marketplace, which may occur because the employer did not offer coverage to that particular employee or because the coverage the employer offered that employee was either unaffordable or did not provide minimum value. However, under a special rule, if an ALE offered coverage to all but five of its full-time employees (and their dependents), and five is greater than 5 percent of the employer’s full-time employees, the employer will not owe the employer shared responsibility payment that would otherwise apply under the rule for an employer that offers coverage to less than 95 percent of its full-time employees (and their dependents). Also, see Limited Transition Relief in 2016 for information about related transition relief. If an employer is part of an aggregated ALE group, liability under the employer shared responsibility provisions, including the rules described in this section Liability for the Employer Shared Responsibility Payment, apply separately for each ALE member in the aggregated ALE group. 43. Who is an employee’s dependent for purposes the employer shared responsibility provisions? For purposes of the employer shared responsibility provisions, a dependent is an employee’s child, including a child who has been legally adopted or legally placed for adoption with the employee, who has not reached age 26. A child reaches age 26 on the 26th anniversary of the date the child was born and is treated as a dependent for the entire calendar month during which he or she reaches age 26. For this purpose, a dependent does not include a stepchild, a foster child, or a child who does not reside in the United States or a country contiguous to the United States and who is not a United States citizen or national. For this purpose, a dependent does not include a spouse. 44. If an ALE is made up of multiple employers (called ALE members), is each separate ALE member liable for its own employer shared responsibility payment, if any? Yes. If an ALE is made up of multiple ALE members, each separate ALE member is liable for its own employer shared responsibility payment, if any. As a very simple example, one ALE member may fail to offer coverage and may owe an employer shared responsibility payment while another ALE member may offer coverage and not owe an employer shared responsibility payment. 45. Are there any circumstances under which certain full-time employees are not considered in determining liability under the employer shared responsibility provisions? Yes. In general, an employee in a “limited non-assessment period” is not considered in determining whether an employer has offered coverage sufficient to avoid an employer shared responsibility payment and an employer will not be liable for a payment for such an employee. For example, in general, an employee who is in a waiting period for coverage or who is in their first month of employment (if their first day isn’t the first day of the calendar month) would be in a limited non-assessment period. Limited non-assessment periods can apply with respect to one or both kinds of employer shared responsibility payments, depending on the coverage the employee is offered at the end of the period. For more information on these circumstances in which a payment will not be owed for a full-time employee, see the definition of limited non-assessment period for certain employees under section 54.4980H-1(a)(26) of the regulations, and see the definition of full-time employee in the Instructions for Forms 1094-C and 1095-C. In addition, employees who are not full-time employees are not considered in determining whether an employer has offered coverage sufficient to avoid an employer shared responsibility payment, and an employer will not be liable for a payment for such an employee. 46. If a Marketplace notifies an employer that one or more of its employees have been determined to be eligible for advance payments of the premium tax credit and have enrolled in coverage through the Marketplace, will that Marketplace notice affect an employer’s potential liability for the employer shared responsibility payment? No. The Marketplace may notify certain employers whose employees enroll in coverage and are determined eligible for advance payments of the premium tax credit (because the employee has attested that he or she is not enrolled in employer-sponsored coverage and is not eligible for affordable employer-sponsored coverage that provides minimum value). The employer notice from the Marketplace does not determine an employer’s potential liability under the employer shared responsibility provisions, and an appeal to the Marketplace does not affect the employer shared responsibility provisions in any way. The Marketplace employer notice only serves as an indicator to employers about potential liability for an employer shared responsibility payment. The IRS independently will determine any liability for the employer shared responsibility payment. 47. I own a business that is not an ALE. One of my employees goes to the Marketplace for insurance and gets advance payments of the premium tax credit and later claims a premium tax credit on his or her tax return. 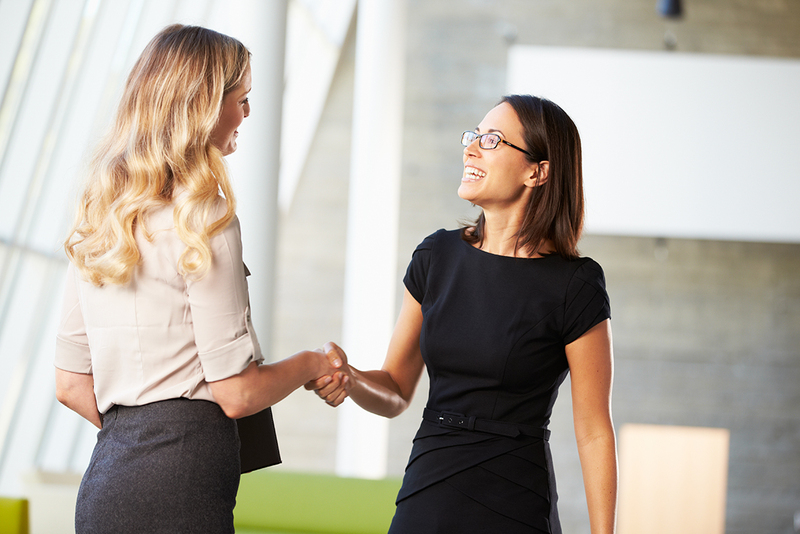 Could I owe an employer shared responsibility payment? No. An employer that is not an ALE is not subject to the employer shared responsibility provisions and will not owe an employer shared responsibility payment, regardless of whether one, some or all of its employees receive a premium tax credit for coverage through the Marketplace. 48. I offered coverage that is affordable and that provides minimum value to all of my full-time employees and offered coverage to the dependents of those employees. May I be liable for an employer shared responsibility payment? No. An ALE that offers coverage that is affordable and that provides minimum value to all its full-time employees and offers coverage to the dependents of those employees will not be subject to an employer shared responsibility payment. In general, an employee will not be eligible for a premium tax credit if the ALE has offered that employee coverage that is affordable and that provides minimum value, even if that employee does not take the offer of coverage and instead enrolls in coverage through a Marketplace. If no full-time employee receives a premium tax credit, the ALE will not be liable for an employer shared responsibility payment. Further, as a result of differences in the meaning of affordability for purposes of the premium tax credit and the employer shared responsibility provisions, it is possible that an employee may be eligible for a premium tax credit but the ALE is not liable for an employer shared responsibility payment for that employee. As long as the ALE made the employee an offer of minimum value coverage that was affordable, within the meaning of the employer shared responsibility provisions, the ALE will not be liable for an employer shared responsibility payment for the employee. 49. I offered coverage to my full-time employees and offered coverage to the dependents of those employees, but I did not offer coverage to my employees’ spouses. May I be liable for an employer shared responsibility payment as a result of not offering coverage to my employees’ spouses? No. To avoid a potential employer shared responsibility payment an ALE must generally offer coverage to the dependents of full-time employees, among other requirements. For this purpose, a spouse is not a dependent. An ALE will not be subject to an employer shared responsibility payment solely because it does not offer coverage to an employee’s spouse. This is the case regardless of whether the spouse purchases health insurance coverage through a Marketplace and receives the financial assistance, such as the premium tax credit. For more information about eligibility for the premium tax credit, see the final regulations under section 36B and questions and answers on the premium tax credit. 50. I offered coverage to 95 percent of my full-time employees and offered coverage to the dependents of those employees. May I be liable for an employer shared responsibility payment if the spouses or dependents of some of my employees purchase health insurance coverage through a Marketplace? No. Although an ALE must generally offer coverage to the dependents of its full-time employees to avoid an employer shared responsibility payment, an ALE will not be liable for an employer shared responsibility payment solely because one or more of its employees’ spouses or dependents purchase coverage through a Marketplace. An ALE will not be potentially liable for an employer shared responsibility payment unless a full-time employee receives a premium tax credit for the employee’s coverage. If no full-time employee receives a premium tax credit, the ALE will not be subject to an employer shared responsibility payment. For more information about eligibility for a premium tax credit, see the final regulations under section 36B and questions and answers on the premium tax credit. 51. I offered coverage to 95 percent of my full-time employees and offered coverage to the dependents of those employees. May I be liable for an employer shared responsibility payment if some of my full-time employees (or their spouses or dependents) enroll in Medicare or Medicaid? No. An ALE will not be subject to an employer shared responsibility payment solely because one or more of its employees (or their spouses or dependents) enroll in Medicare or Medicaid. An ALE will not be potentially liable for an employer shared responsibility payment unless at least one full-time employee enrolls in Marketplace coverage and receives financial assistance, such as the premium tax credit. 52. If an employer that does not offer coverage or that offers coverage to less than 95 percent of its full-time employees (and their dependents) owes an employer shared responsibility payment, how is the amount of the payment calculated? If an ALE does not offer coverage or offers coverage to less than 95 percent of its full-time employees (and their dependents) for an entire calendar year, and at least one of its full-time employees receives a premium tax credit, the ALE owes an employer shared responsibility payment equal to the number of full-time employees the ALE employed for the calendar year (minus up to 30) multiplied by $2,000 (as adjusted). For an ALE that offers coverage to at least 95 percent of its full-time employees (and their dependents) for some months but not others during the calendar year, the payment is computed separately for each month it does not offer coverage to at least 95 percent of its full-time employees (and their dependents). The amount of the payment for each month equals the number of full-time employees the ALE employed for the month (minus up to 30) multiplied by 1/12 of $2,000 (as adjusted). If the ALE is related to other ALE members in an aggregated ALE group (see Employers Subject to the Employer Shared Responsibility Provisions above), the 30-employee reduction is allocated among all the ALE members in the aggregated ALE group in proportion to the number of full-time employees each ALE member has. And if the employer is part of an aggregated ALE group, the payment is calculated based only on the number of full-time employees of the particular ALE member. Part-time employees and full-time equivalent employees are not counted for this calculation. Also, certain full-time employees are not included in this payment calculation, for example, very generally, a full-time employee in a waiting period. 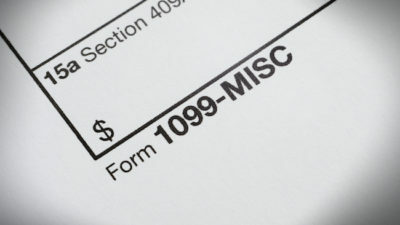 For more information on the circumstances in which a full-time employee is not counted for this payment, see the definition of limited non-assessment period for certain employees under section 54.4980H-1(a)(26) of the regulations, and see the definition of full-time employee in the Instructions for Forms 1094-C and 1095-C.
See Limited Transition Relief in 2016 for information on related transition relief. For examples of a payment calculation, see the Types of Employer Payments and How They are Calculated page. 53. If an employer offers coverage to at least 95 percent of its full-time employees (and their dependents), but nevertheless owes the employer shared responsibility payment, how is the amount of the payment calculated? For an ALE that offers coverage to at least 95 percent of its full-time employees (and their dependents), but has one or more full-time employees who receive a premium tax credit, the payment is computed separately for each month. The amount of the payment for the month equals the number of full-time employees who receive a premium tax credit for that month multiplied by 1/12 of $3,000 (as adjusted). The amount of the payment for any calendar month is capped at the number of the ALE’s full-time employees for the month (minus up to 30) multiplied by 1/12 of $2,000 (as adjusted). The cap ensures that the payment for an ALE that offers coverage can never exceed the payment that ALE would owe if it did not offer coverage. If an employer is a member of an aggregated ALE group, the payment is calculated based only on the number of full-time employees of the particular ALE member. Part-time employees and full-time equivalent employees are not counted for this calculation. Also, certain full-time employees are not included in this payment calculation, for example, very generally, a full-time employee in a waiting period. For more information on the circumstances in which a full-time employee is not counted for this payment, see the definition of limited non-assessment period for certain employees under section 54.4980H-1(a)(26) of the regulations and see the definition of full-time employee in the Instructions for Forms 1094-C and 1095-C. For detailed examples of a payment calculation, see the Types of Employer Payments and How They are Calculated page. 54. Does the per-employee amount of the employer shared responsibility payment increase over time? Yes. The employer shared responsibility provisions provide for an inflation adjustment beginning in calendar years after 2014. In the case of any calendar year after 2014, the applicable per-employee dollar amounts of $2,000 and $3,000 are increased based on the premium adjustment percentage (as defined in section 1302(c)(4) of the Affordable Care Act) for the year, rounded to the next lowest multiple of $10. 59. For 2016, is transition relief available under the employer shared responsibility provisions? Yes, but only with respect to employer coverage with a plan year that is different than the calendar year (referred to as a non-calendar-year plan) and only for employers that meet the other requirements for the applicable relief. Several forms of transition relief under the employer shared responsibility provisions were available for calendar year 2015. Because employers generally offer coverage for a 12-month plan year and some plan years are different than the calendar year, certain forms of transition relief are available to plan years that began in calendar year 2015 and end in calendar year 2016 (the 2015 plan year). For 2014, transition relief was available such that no payments under the employer shared responsibility provisions are assessed. See Notice 2013-45. 60. Is transition relief available in 2016 with respect to offering coverage to dependents? Yes, but only for certain employers that offer non-calendar-year plans. In particular, for calendar months in the 2015 plan year that fall within 2016, an ALE (or ALE member, if part of an aggregated ALE group) may treat an offer of coverage to a full-time employee but not his or her dependents as an offer of coverage to both the full-time employee and his or her dependents, but only if certain requirements are met. Specifically, this transition relief applies only if an employee was not offered dependent coverage during the plan year beginning in 2013 or 2014 and the ALE (or ALE member) took steps during the 2014 or 2015 plan year (or both) to extend coverage under the plan to dependents not offered coverage during the 2013 or 2014 plan years (or both). This rule applies solely for purposes of the employer shared responsibility provisions. 61. For 2016, is transition relief available for employers that had at least 50 but fewer than 100 full-time employees (including full-time equivalent employees) on business days during 2014? (1) Limited workforce size: The ALE must have employed on average at least 50 full-time employees (including full-time equivalent employees) but fewer than 100 full-time employees (including full-time equivalent employees) on business days during 2014. The number of full-time employees (including full-time equivalent employees) is determined in accordance with the otherwise applicable rules for determining status as an ALE. (2) Maintenance of workforce and aggregate hours of service: During the period beginning on February 9, 2014 and ending on December 31, 2014, the ALE did not reduce the size of its workforce or the overall hours of service of its employees in order to qualify for the transition relief. However, an ALE that reduces workforce size or overall hours of service for bona fide business reasons is still eligible for the relief. (3) Maintenance of previously offered coverage: During the period beginning on February 9, 2014 and ending on the last day of the 2015 plan year, the ALE does not eliminate or materially reduce the coverage, if any, it offered as of February 9, 2014. For more details see section XV.D.6 of the preamble to the employer shared responsibility provisions final regulations. An ALE member that is part of an aggregated ALE group that meets these criteria will not be subject to an assessable payment for any calendar month in 2016 that falls within the 2015 plan year of a plan offered by either the ALE member or another member of the aggregated ALE group, if applicable. If any ALE member, or different members in an aggregated ALE group, offer coverage under more than one health plan with different plan years, the transition relief applies through the last day of the latest of those plan years, for all ALE members in the aggregated ALE group, if applicable. 62. For 2016, is there transition relief available with respect to the number of full-time employees to whom an employer must offer coverage to avoid an employer shared responsibility payment? Yes, but only for employers that offer non-calendar-year plans and only for calendar months in 2016 that fall within the 2015 plan year. In particular, for calendar months in 2016 that fall within the 2015 plan year, an ALE member can avoid the (generally larger) $2,000-per-full-time-employee payment (as adjusted) under section 4980H(a) by offering coverage to at least than 70 percent of its full-time employees (and their dependents). Such an employer may still be liable for a payment under section 4980H(b) of $3,000 (as adjusted) for each full-time employee who receives a premium tax credit to help purchase coverage through a Marketplace. This payment is generally smaller in aggregate than the $2,000 per-full-time-employee payment under section 4980H(a) (and can never be larger). If the ALE member offers coverage under more than one health plan with different plan years, this transition relief applies through the last day of the latest of those plan years. 63. For 2016, is there any transition relief available with respect to the calculation of an employer shared responsibility payment for an employer that had at least 100 full-time employees (including full-time equivalent employees) on business days in 2014? Yes, but only for certain employers that offer non-calendar-year plans and only for calendar months in 2016 that fall within the 2015 plan year, as described below. For the months described below, if an ALE member that is an ALE (or part of an aggregated ALE group) that had at least 100 full-time employees (including full-time equivalent employees) on business days in 2014 does not offer coverage to at least 95 percent (or 70 percent, if applicable) of its full-time employees (and their dependents), it may be liable for an employer shared responsibility payment equal to the number of full-time employees the ALE member employed for the month minus up to 80 multiplied by 1/12 of $2,000 (as adjusted), if at least one full-time employee receives a premium tax credit for that month. Under the normal rules, employers subtract 30 from the number of full-time employees in this calculation but the transition relief allows subtraction of 80. For 2016, this relief applies for an ALE member with at least one non-calendar-year plan and for an ALE member that is a member of an aggregated ALE group with at least one non-calendar-year plan, for the months in 2016 that fall within the 2015 plan year. If an ALE member, or different members in an aggregated ALE group, offer coverage under more than one health plan with different plan years, the transition relief applies through the last day of the latest of those plan years, for all ALE members in the aggregated ALE group, if applicable. For the rules on how the 80-employee-reduction is allocated among the ALE members in an aggregated ALE group, see section 54.4980H-4(e) of the regulations. 64. What are the eligibility requirements for an individual to receive the premium tax credit? 65. If an employer does not employ enough employees to be subject to the employer shared responsibility provisions, does that affect an employee’s eligibility for the premium tax credit? No. The rules for determining an employee’s eligibility for the premium tax credit, including whether the employee was offered employer-sponsored coverage, apply regardless of whether the employer is subject to the employer shared responsibility provisions. 66. Where can employees get more information about the Marketplace? The Department of Health and Human Services administers the requirements for the Marketplace and the health plans offered through the Marketplace. For more information about coverage options, financial assistance, and the Marketplace, visit Healthcare.gov.